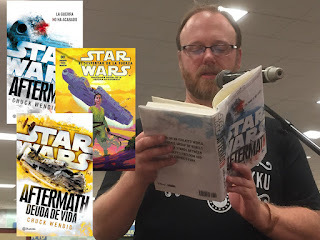 We had the amazing opportunity to speak to Adam Bray, multitalented writer and photographer, contributor to the BBC, NatGeo and CNN, author of over 40 travel books, turned Star Wars author, who has written "Star Wars: Rebels Visual Guide", "LEGO Star Wars: Into Battle" and many others. Si estás buscando la versión en español, se encuentra aquí. Star Wars Veracruz (SWV): Hi Adam! Thank you so much for this interview. Please, tell us something about yourself. Adam Bray: I have a degree in Biology, so after college I worked with chimpanzees, bonobos and orangutans. I worked in laboratories, nature centers and zoos—anywhere I could be around animals. But I wanted to do some traveling and after a few years I transitioned to guidebook writing. I also wrote freelance for a variety of outlets like CNN, BBC and National Geographic. I lived in Southeast Asia and also spent a lot of time in New Zealand, where I was around a lot of the filming for the Hobbit movies. That probably got my focus pointed back toward movies and pop culture as much as anything, besides the great work that Dave Filoni and his team were doing on The Clone Wars at the time. SWV: How did you became a Star Wars fan? Adam: I’ve been a Star Wars fan my whole life. I saw the first movie when I was only three or four years old at a drive-in movie theater. So my earliest memories are about Star Wars, and collecting Star Wars action figures and Topps trading cards. SWV: You've been a travel journalist and an active explorer in Southeast Asia... how did you get from being an almost real-life Indiana Jones to a Star Wars author? Adam: While living in Vietnam and Cambodia I wrote travel guides for lots of publishers. Fortunately one of them was DK. I knew they wrote all those great Star Wars reference books, so I had it in the back of my head that if I ever moved back to the USA, I would try to work with their licensing department. I just happened to get in touch with the editors at just the right time, when they needed some new books written by someone with a background like mine. 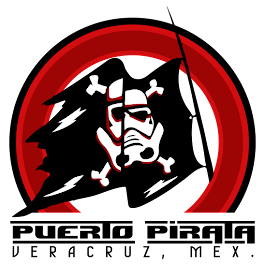 SWV: In your Star Wars books, you like to explore places, provide details about planets and their inhabitants, what makes the Star Wars galaxy a place worthy of exploration? Adam: Star Wars is such a rich galaxy with so many worlds to discover. Most fans probably only know the movies, but The Clone Wars has something like over 50 hours of additional material, with so many new places, environments, cultures and creatures to learn about. And now we have all the books and comics and new movies and Star Wars Rebels—it’s endless material to discover. SWV: What's the real world place that has ever made you feel like you're in a galaxy far, far away and why? Adam: Definitely Vietnam and New Zealand. They are similar to each other in that they are such tiny countries, but their scenery is so diverse—it’s like a whole continent condensed in a small area—and many of their environments look like nowhere else on earth. SWV: From all the planets, Legends or not, in the Star Wars galaxy, where would you go first if you had the chance and why? Adam: Maybe Endor? It seems like the most hospitable, and a very comfortable climate. I love the Ewoks, and a few weeks in one of their villages would be a fantastic vacation. Naboo seems lovely too. Or maybe Coruscant in peace time? 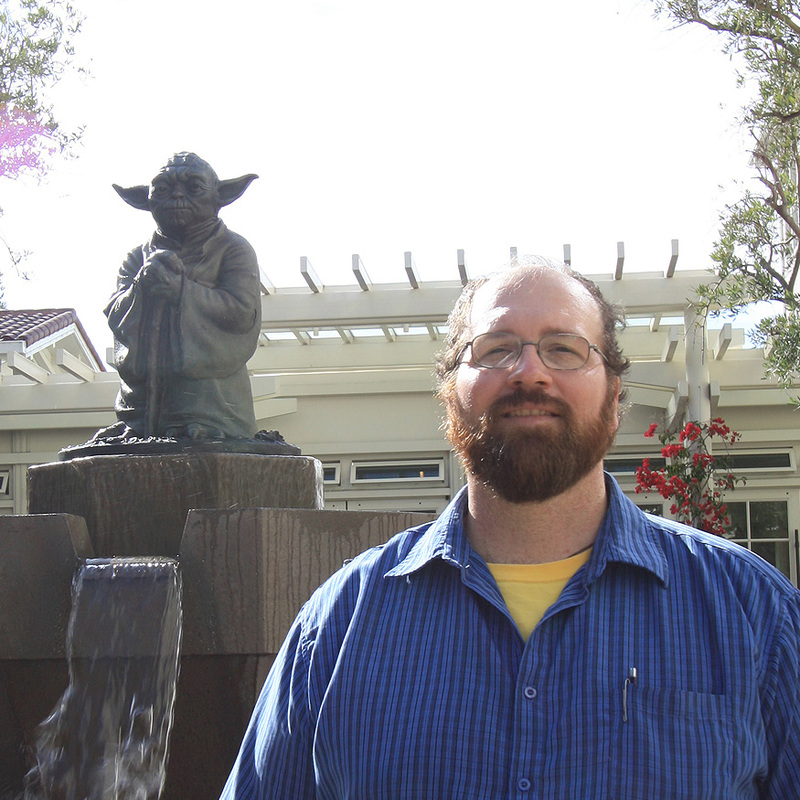 SWV: How did you get to write the Star Wars: Rebels TV show? What do you like the most about the TV show? Adam: I just write the Rebels Visual Guides for DK, so I don’t have a hand in the actual TV show. Thought I do get to invent some new material that isn’t in the show, such as information about the ships and technology and maybe a little about the creatures. I really like the characters—I think Ezra and Kanan are fantastic. Chopper is hilarious—especially if you can read the scripts and know what he actually says. The first characters I ever saw—about a year before the show even aired—were Ezra and Chopper. I was so excited because I instantly thought the artists nailed it. These were characters that reminded me of the feeling I had first seeing A New Hope. And all of the voice actors are so great—not just very talented—but very nice people too, who are really generous to fans with their time. SWV: You've been involved in the most recent encyclopedic Star Wars works: Absolutely Everything You Need to Know and Ultimate Star Wars, what was your role in these books? Adam: I was one of four authors on each book. For both, I concentrated on material from Star Wars Rebels. In Ultimate Star Wars I also wrote about a lot of the environments and characters in the original trilogy. In "Absolutely Everything," I also wrote a lot about the creatures and aliens. To be honest, I had no idea how popular the books would be when I wrote them, so all the publicity and book tours came as a complete surprise to me later! SWV: My daughter, Montse, wanted to ask how long did it take for you to research the information for Ultimate Star Wars, and what was your favorite part of researching it? Adam: I took about 2 months to do my part. Keep in mind there were 3 other authors too, so that is 8 months total of author time… plus several months for the editors and Lucasfilm to check and edit everything, place the photos, arrange the layout, etc. I enjoy the research quite a lot. It’s always good to learn new things with each book you write, and include new information that people don’t already know. I probably learned the most by researching the locations and environments. I also like writing the “Key Moments” spreads, where we talk about a scene and relate the importance of it to everything else going on in the Star Wars timeline. Through that I was able to draw comparison’s to Anakin’s initial choice to turn against Mace Windu and the Jedi--and serve Palpatine in Revenge of the Sith, and when he has an opportunity to make that choice again later, and save his son Luke at the end of Return of the Jedi. Those two scenes are amazing parallels of each other. SWV: A collaborative effort was required for the investigation and publishing of these books, what was your relationship with the rest of the authors? Adam: It’s funny, that part isn’t as interesting as people might imagine! For these books we basically just divide up the information in four and then we each take our own part. Once we get going, it’s more about each working with the editor on our own. SWV: And what about the Story Group? Where do they fit in the fact checking and approving information that can or can't be published? Adam: There are several stages where the Story Group checks everything. It’s a lot of work for them to have to read through it all several times. And I often email them when I have questions too. I’ve been fortunate not to have to re-write anything so far, so it’s been a very easy and helpful process to work with Story Group for me! 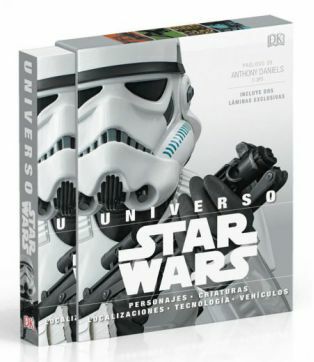 SWV: If you are already able, can you tell us about your just announced next project, Stormtroopers: The Ultimate Guide? Adam: Yes, I only just started working on the book so I was surprised to see it advertised already! I believe the working title is now “Stormtroopers: The Complete Guide.” Book titles and covers often change a few times while they are being written. It’s from the same company that produced “The Complete Vader,” so like that book, it will cover everything, from the behind-the-scenes development and design of Stormtroopers, the pop-culture phenomenon, merchandising, and possibly a look into new and upcoming projects that feature Stormtroopers. 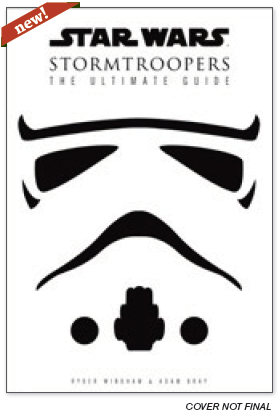 If you are a stormtrooper fan, this book will be a must! SWV: What other personal projects do you have? What should be of interest to Latin American Star Wars fans? Adam: My next book is “LEGO Star Wars: Chronicles of the Force.” That will come out in June and include an exclusive LEGO minifigure from The Force Awakens. I have a book about Star Wars Starfighters coming out later this year, as well as my first book for Marvel too. 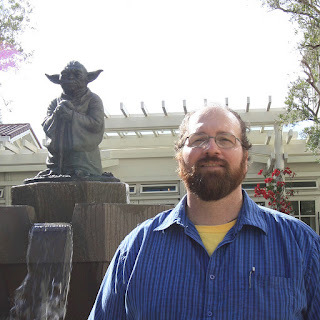 I also write monthly for StarWars.com. For my own projects, I’m working on a comic book (I also draw), a screenplay, a novel and a memoire of my life in Vietnam. So I’m keeping busy! Fans can follow me on Twitter: https://twitter.com/authoradambray and I have a website at www.adambray.com, though it needs to be updated! SWV: Do you speak any Spanish and have you visited Mexico or any other Latin American country? Adam: Yes, when I was in high school and college I was close to being fluent in Spanish. I’m afraid I haven’t practiced much since then, so I would need to review in order to have a conversation! But I can understand a little. When I was growing up I had a few family vacations in Mexico on the West coast. I remember beautiful scenery, great food and friendly people. I’d love to go back or visit Latin America in the future!